No matter what type of business owner you are or how far along you are in building it, you need to be managing your finances properly and if need be, take the steps necessary to fix your situation. The following tips will help you to recognize potential issues with your financing and give you ways to fix them. If you’re just in the startup stages of your business, you should try to gauge as accurately as possible what your expenses will be to get the company up and running. The more you know about what it costs to run your business in the long-run, the easier it will be to avoid hurdles down the road. Having Kickstarter funds and personal funds is great for getting started, but once you get into the swing of things, you’ll need to start taking out loans. Once you make it to this point, however, don’t be overly ambitious and always play it safe! For a new business, it may be more feasible to lease your equipment rather than buying. However, this completely depends on what type of business you’re running and how much startup capital you have. Although generally, it’s better to play it safe for now and discuss options for buying equipment later. Although many people are intimidated by marketing, there are actually a lot of things that you can do on your own to improve brand awareness and see an influx of customers. A great way to start is by keeping up with previous clients through email and social media. Not only could they lead you to potential clients, but they’ll appreciate the attention and customer service they received. A company that’s organized is one that’s spending less on unnecessary expenditures. When you get bogged down in work, sometimes you’ll forget to create a long-term plan for the layout of your company. Doing so now will keep you prepared and help you manage your costs as well. Sometimes getting on the right financial path is as simple as eliminating unnecessary travel expenses. If you have a delivery service, make sure your drivers are using the most efficient routes possible, keep your vehicles maintained, and know when it’s necessary to upgrade your delivery assets. 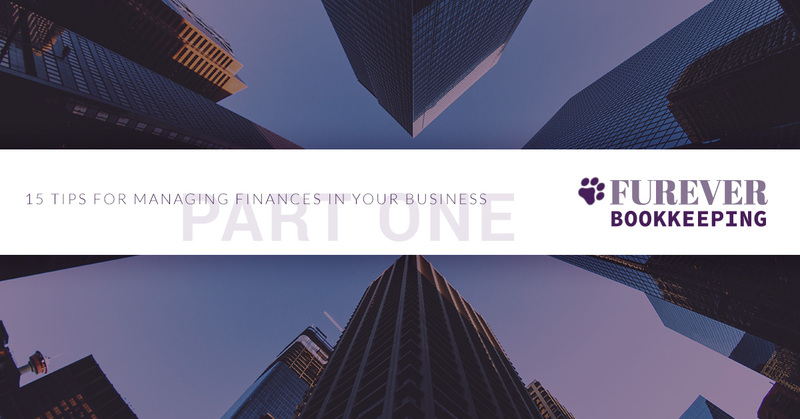 Being aware of your business’s financial situation is essential for its success, however, there will come a point when your company is too big to have its books managed by you or another employee. That’s where Furever Bookkeeping comes in. Our team of bookkeeping professionals will perform account reconciliation and get your company back on track to achieving financial success. The key to any business is the control of cash flow, and when you hire a professional bookkeeper at Furever Bookkeeping, you’ll know exactly where all your money is going, and what areas you need to improve.Contact us today for a free financial analysis in Maryland, Virginia, and the DC area!